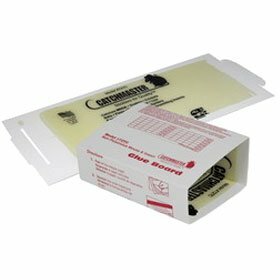 Catchmaster 72 Mouse Glue Boards come with Catchmaster's signature high quality adhesive coupled with a peanut butter fragrance. Catchmaster 72 MB works both indoors and outdoors for mice, fruit flies, moths and many other insects and reptiles such as lizards. Measuring 5" x 8", these boards can lay flat or be folded into a square box. These glue boards are intended to catch mice and insects. For Rats please see the 24 GRB Catchmaster Glueboards.